Cincinnati – Do You Remember? Cincinnati do you remember? So many changes over the years especially if you ever worked or played in downtown Cincinnati during the 1970’s. The best shopping was downtown with stores like Pogues, Shilitos, McAlpins which were well stocked and easy to access during lunch hours and saved having to run to local malls on the weekends. Pogue’s Ice Cream Bridge provided a great place to grab lunch or large milk shake before heading back to work. It overlooked the Carew Tower and during the Christmas season watching mobs of shoppers enjoying the decorations was a part of the holiday traditions. 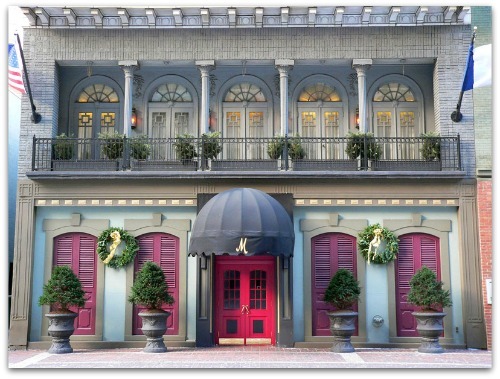 Of all the restaurants that have come and gone downtown perhaps the Masionette (in 6th Street) is/was the one place long time residents still talk about today. 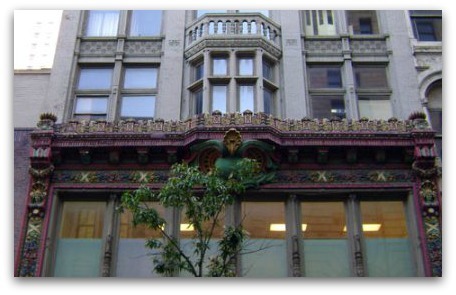 Fourth Street was home to Pogues Department Store, McAlpins and a women’s specialty clothing store -the Gidding Jenny Department Store. The building that housed Gidding’s has a beautiful Rookwood exterior that was restored, ironically, after the store closed. 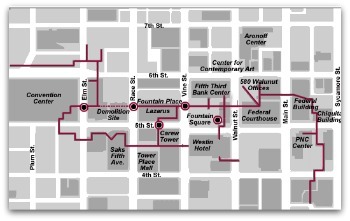 The Cincinnati Skywalk system existed serving the downtown business district and during the 1970’s and during frigid winters was a great way to get around the main parts of downtown -bypassing sloppy slushy streets and minimizing the cold factor. The Skywalk was completed in 1997 at a cost of more than $16 million. Later the Skywalk concept fell out of favor and most the sections were removed….and pedestrians returned to the street level. North of Cincinnati Tri County Mall is probably the best example of so many retail spots around greater Cincinnati which have reshaped themselves over the years trying to capture the current shopping market. Originally the mall was one level and not covered- the current trend for shopping centers today. 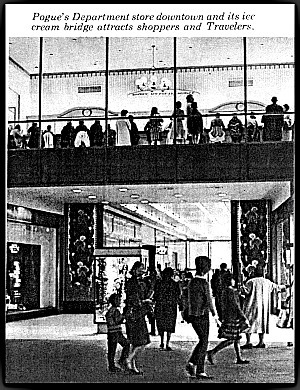 In the late 1960’s the mall was covered and the in the late 1980’s early 1990’s a second level was added. What is your favorite memory from Cincinnati’s past?